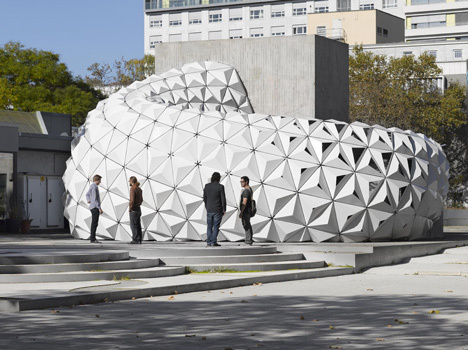 FORMAKERS will take advantage of the "digital fabrication REvolution". We publish projects of urban design/ architectural research/ fashion design/ 3d print/ parametric design / architecture model /photography and much more.FORMAKERS invites architects, designers, artists, students, scientists and individuals of all backgrounds to explore, research and investigate new design paradigms and urban visions. 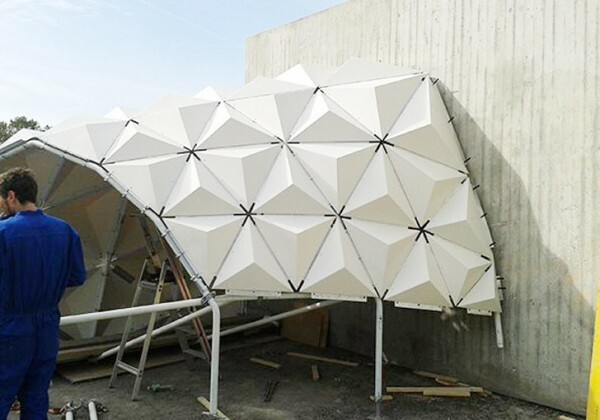 Mock‐Up: The bioplastics facade mock‐up was created within the framework of Research Project Bioplastic Facade, a project supported by EFRE (Europäischer Fonds für Regionale Entwicklung/ European Fund for Regional Development). 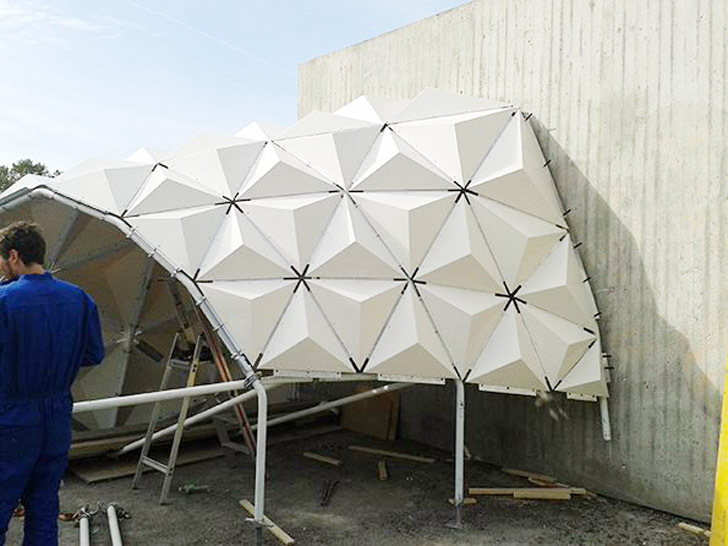 It demonstrates one of the possible architectonic and constructional applications of the bioplastic materials developed in the course of this project. 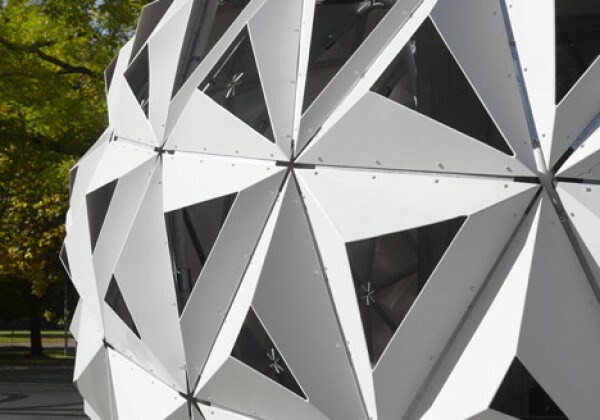 The blueprint is based on a triangular net made up of mesh elements of varying sizes. 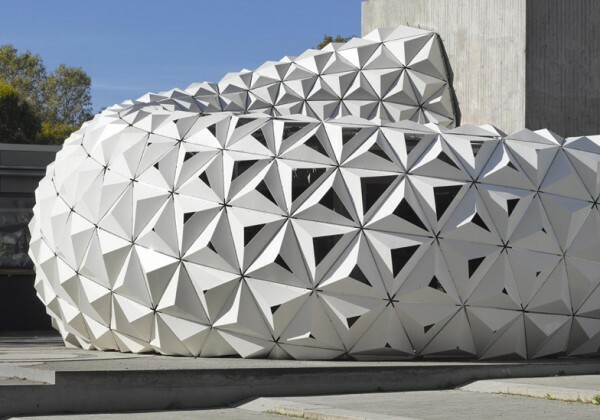 Research Project Bioplastic Facade: ITKE can look back on numerous years of experience in both teaching and researching the computer based planning, simulation, and production of cladding for buildings with complex geometries. 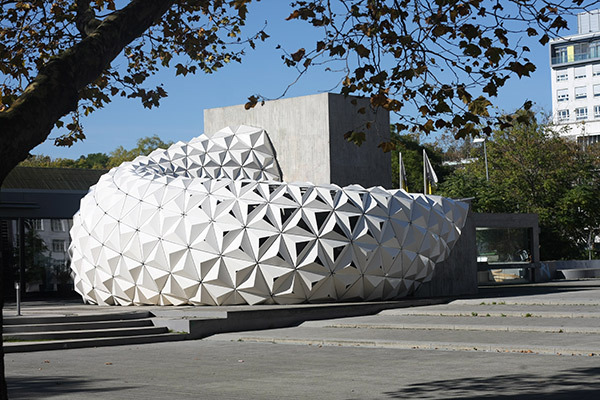 Currently, materials made from petroleum‐based plastic, glass, or metal are used to encase such structures. Thermoformable sheets of bioplastics will constitute a resource‐efficient alternative in the future as they combine the high malleability and recyclability of plastics with the environmental benefits of materials consisting primarily of renewable resources. 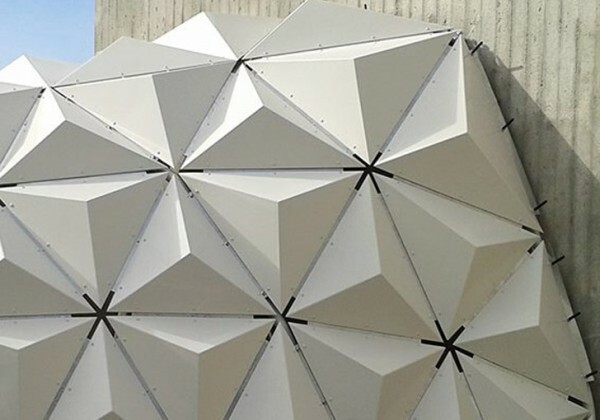 Collaborating materials scientists, architects, product designers, manufacturing technicians, and environmental experts were able to develop a new material for facade cladding which is thermoformable and made primarily (>90%) from renewable resources. 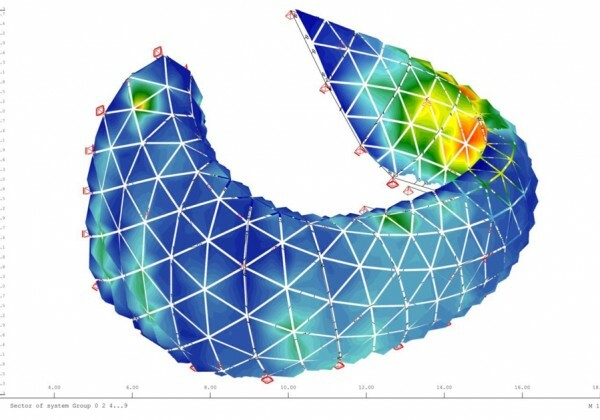 Developed by project partner TECNARO within the framework of the research project, ARBOBLEND®, a special type of bioplastic granules, can be extruded into sheets which are further processable as needed: They can be drilled, printed, laminated, laser cut, CNC‐milled, or thermoformed to achieve different surface qualities and structures and various moulded components can be produced. 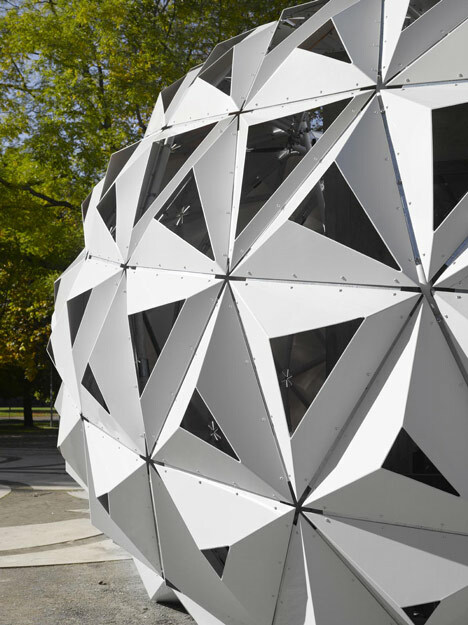 The semi‐finished products serve as cladding for flat or free‐formed interior and exterior walls. 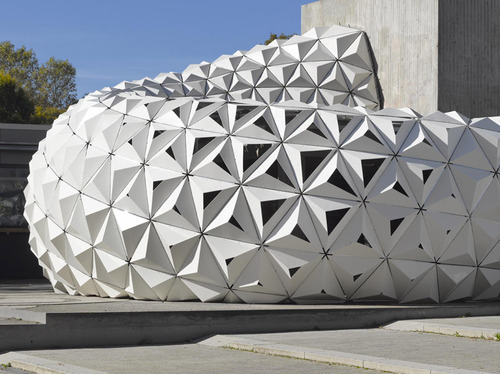 The material can be recycled and meets the high durability and inflammability standards for building materials. 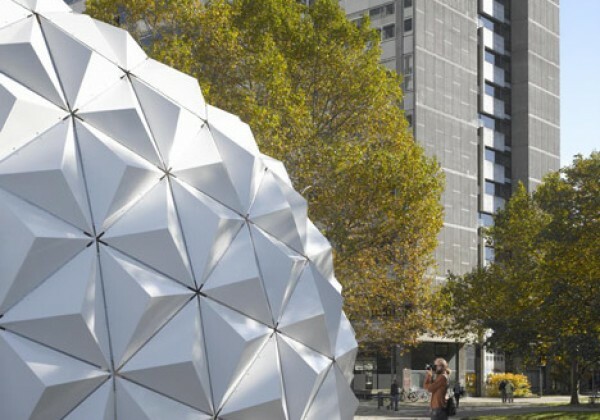 The goal of the project was to develop a maximally sustainable yet durable building material while keeping petroleum‐ based components and additives to a minimum. The ecological audit was completed by project partner ISWA (Institute for water engineering, water quality, and waste management). 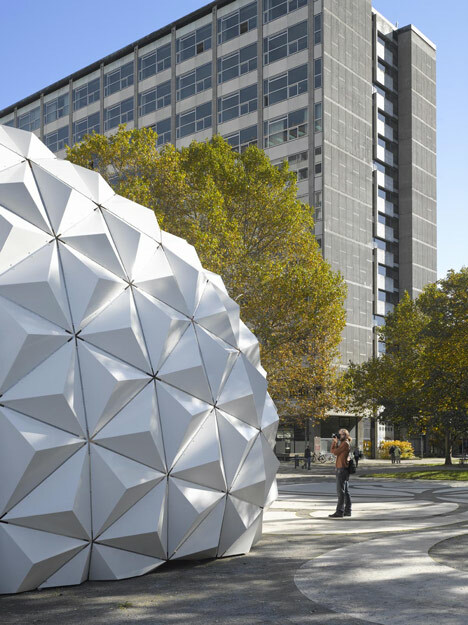 Furthermore, the materials’s resistance to microbial degradation was determined. 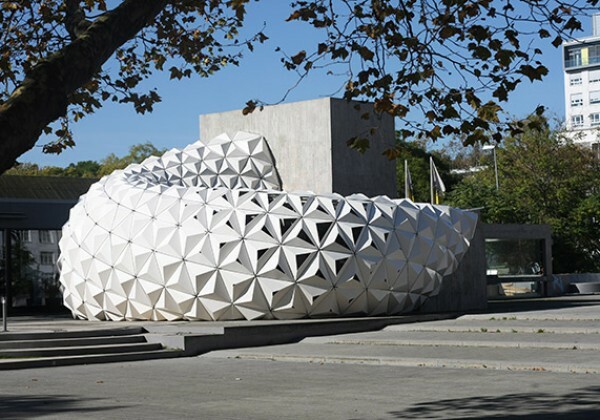 Innovative Character of the Research Project: This research project marks the first occasion for development of bioplastic sheets that are made primarily of renewable resources, can be freely formed, and are furthermore designed for application in the building sector and specifically for building exteriors. At the beginning of this project, such a product was not available on the market. 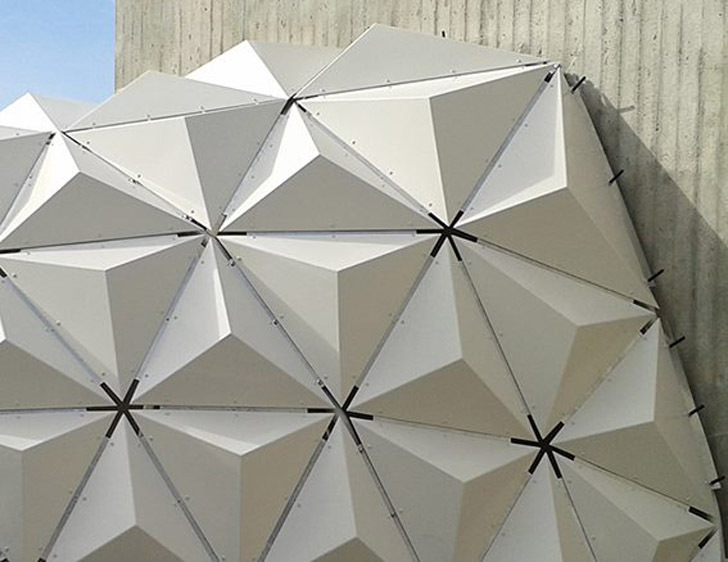 The conception of this material as flame‐retardant sheet material also aims at applications for building interiors (spek DESIGN). 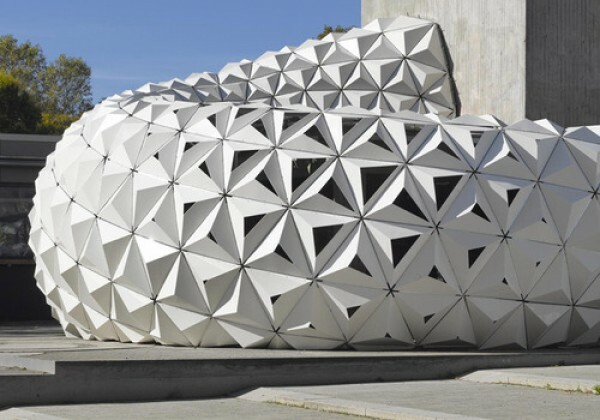 With this new development, we can therefore soon offer a product that addresses two trends: ‐ the increasing demand for resource‐efficient and sustainable building materials ‐ the increasing development of buildings featuring double‐curved geometries and planar facade components with 3D effects (relief) Mock‐Up Supporting Structure: The freeform bioplastic facade functions as a sheet material based shell structure with additional loadbearing and bracing ring carriers and joists. Contrary to common non‐loadbearing facade constructions, this construction involves the loadbearing properties of the double curved skin (made of 3,5 mm thick bioplasticpyramids that are mechnically coupled) in the loadbearing and bracing processes of the entire system. 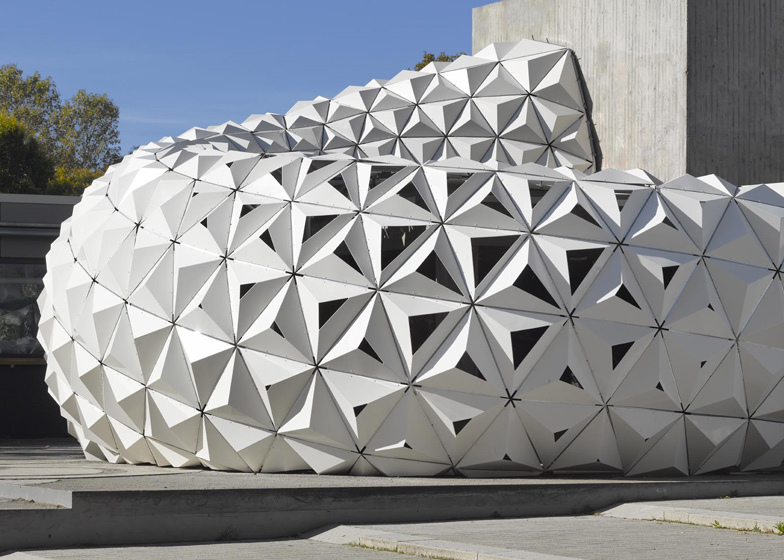 On the one hand, this innovative measure shows the potential of modified bioplastics as a bracing material (up to E≈4000N/mm²) suitable for exterior applications as it adds only a minor load due to its own weight (13kN/m³); on the other hand, it allows for the construction of a facade that utilizes a minimized number of points of support and/or mounting brackets on the structural work behind it.